Court reporters are part of a prestigious and professional business environment. 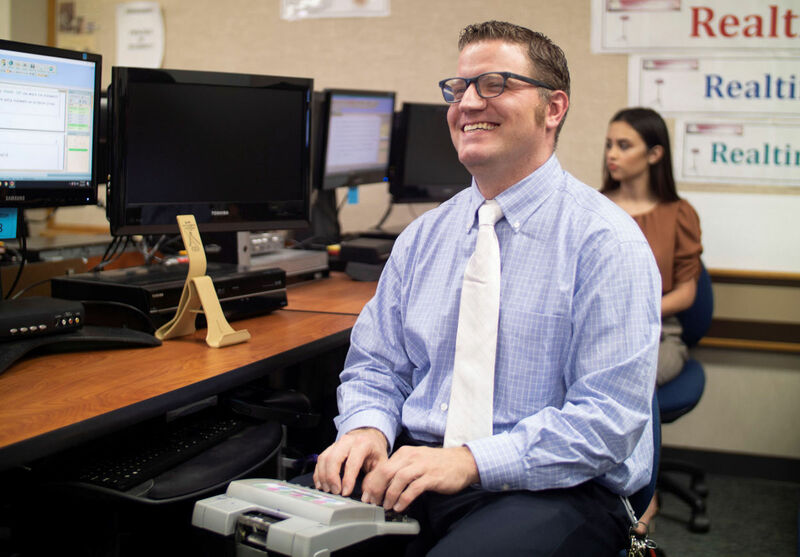 Court reporters can quickly turn spoken words into readable, searchable, permanent text, and they will continue to be needed. 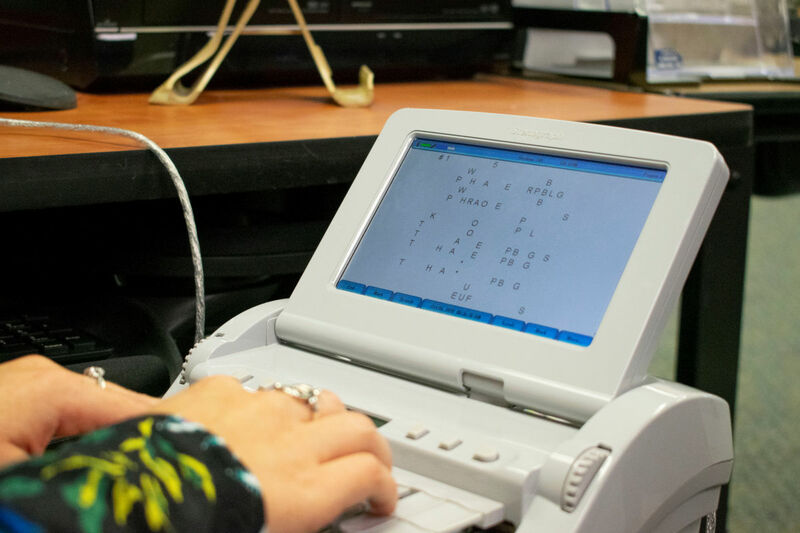 According to the National Court Reporters Association, court reporters earn an average of more than $60,000 a year. 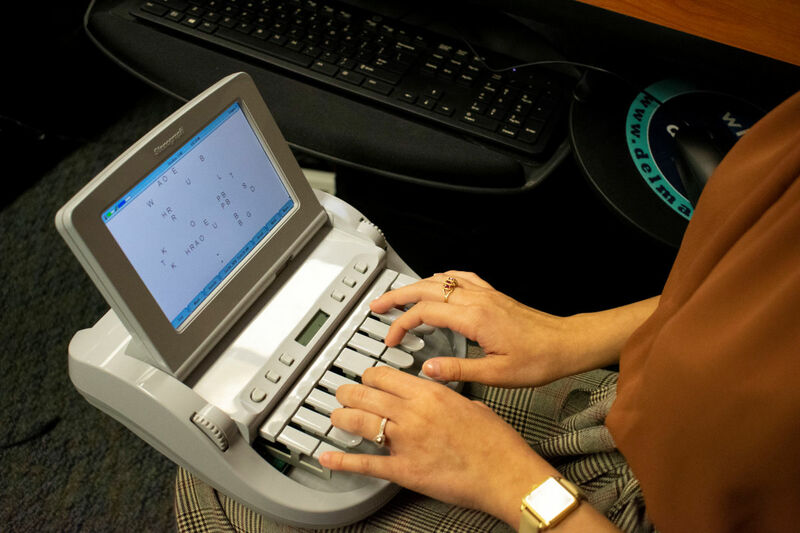 There are an estimated 50,000 to 60,000 court reporters in the United States. The U.S. Department of Labor reports that court reporting job openings continue to outnumber job seekers. 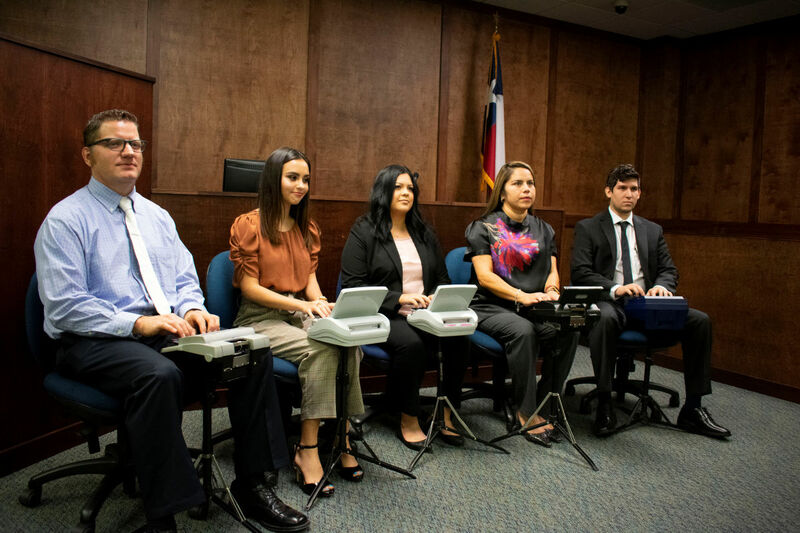 Who should become a court reporter? is intelligent, highly motivated and disciplined. enjoys reading and/or plays a musical instrument. works well under pressure and can meet deadlines. likes to meet people, travel and work with new technology. enjoys the challenge of an exciting and lucrative career. 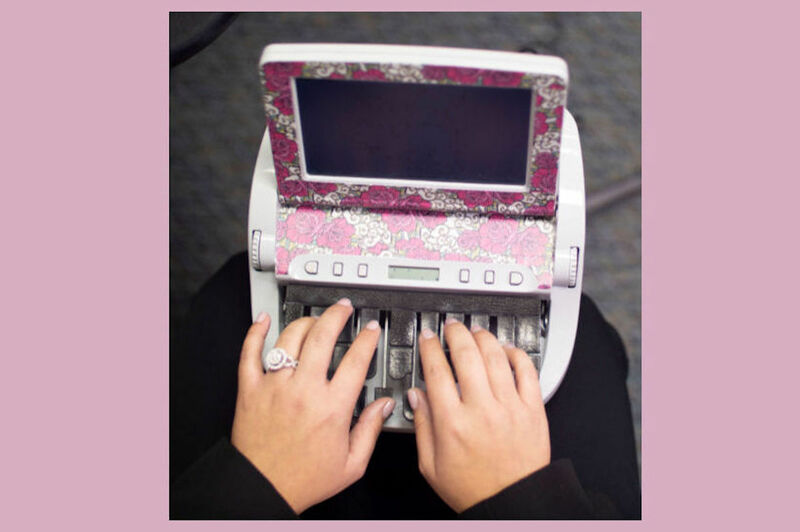 What kind of jobs can you get as a court reporter? 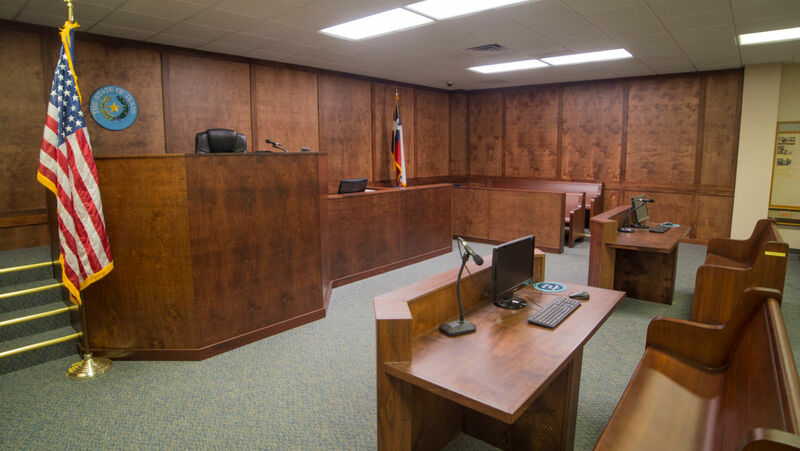 Work in a courtroom as an Official Court Reporter with full benefits and extra compensation for transcripts produced. Work as a freelance reporter associated with a single firm or as an independent contractor and enjoy a flexible schedule taking depositions for pretrial discovery, recording conventions, hearings, and other matters. Work in the field of captioning, both closed captioning and offline captioning. Caption live television programs as they occur live, as well as perform a much-needed service to the deaf and hard of hearing as a Communication Access Realtime Translating (CART) provider. Work as a scopist assisting working court reporters to produce transcripts and do daily copy for court and depositions, or use your court reporting skills to do transcriptions for legal proceedings working for attorneys, or fulfilling the needs of a variety of companies that may need the services of a transcriptionist. Page last updated October 15, 2018.